Ever feel tired, cranky, impatient, or just angry at the world the morning after an awful night of sleep? Chances are nearly everyone has experienced this (including myself). Read on to discover a homeopathic remedy that may finally help you wake up feeling rested and rejuvinated. There are countless tips on the internet about how to get better quality sleep (or fall asleep easier). Common suggestions include winding down at least an hour before bed, avoiding any caffeine after 3:00 pm, or keeping away from any food at least 2 hours before bed. 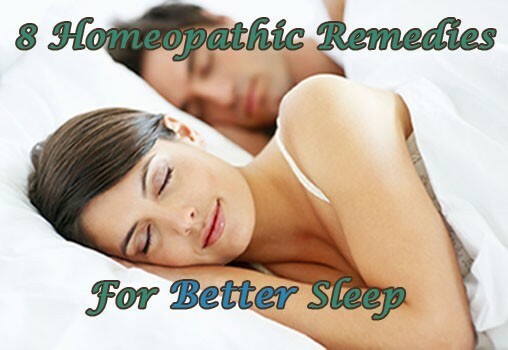 Instead of reviewing the standard information out there about sleep improvement, I am going to unmask low budget homeopathic remedies that can be used to improve the quality of your sleep and help you overcome the challenge of initially falling asleep at night. Remember to pay attention to the details when deciding which remedy applies to you. The specifics are extremely important when selecting homeopathic remedies. Select which characteristics best apply to you and/or prevent you from sleeping at night to make your selection. It is then suggested that you consult a healthcare practitioner and/or conduct further research to be certain the treatment applies to you. *If you wish to purchase any of these remedies, simply click their name. Many people have noted significant improvements with these homeopathic remedies. You will see many of the reviews on amazon (or anywhere else) that support their effectiveness. These products are very low cost too! As you will see none of these products exceed $10.00. Comment below explaining your experiences with any of these homeopathic remedies, post any questions/comments, data on the efficacy of these treatments, or even article improvement suggestions (which are always welcomed!). Feel free to double check the information posted here: the recommendations were based on the information posted by William Boericki, M.D in Homeopathic Materia Media and also inspired by an article found here. Two remedies from the latter article were removed due to questionable validity. If you are interested in holistically improving your health in an informed and quick way, please consider our remote health info & support services.